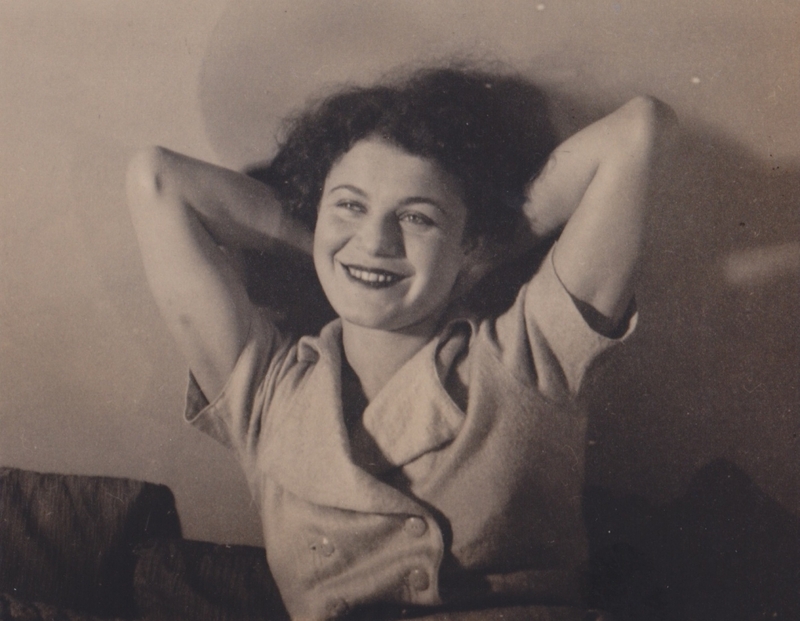 Renee Gross (born Rebecca Nechin) was born on July 6, 1909 in Lithuania to Benjamin Nechin and Leah Finkelstein Nechin. She immigrated with her family to the United States after World War I. She attended Erasmus Hall High School in Brooklyn, and then Brooklyn College, studying literature. She was involved in the Second Avenue Jewish Bohemian art scene, where she befriended actors, artists, and writers, and also met Chaim Gross. They married in 1932 and had two children, Yehudah and Mimi. Renee Gross was politically active since college, and stood against fascism during the Spanish Civil War. During WWII, she hosted parties to sell war bonds, and hosted performers including Paul Robeson. After the war, in support of Israel, she joined Hadassah, the United Jewish Appeal, the American Jewish Congress, and the Women's League for Israel, and was an active fundraiser. Although she was not an artist herself, Renee Gross was a great supporter of the arts, artists, and local non-profits. She regularly contributed art by Chaim Gross to benefit auctions. After the passing of Chaim Gross in May 1991, Renee Gross dedicated herself to the activities of the Renee and Chaim Gross Foundation (incorporated in 1989) and furthering Chaim's legacy. She worked to open the Foundation's doors to the public in 1994, with a memorial exhibition of Gross both at the Foundation and at Forum Gallery. In 1996, she arranged for the exhibition "Chaim Gross: A Celebration" with Curator George Gurney at the Smithsonian American Art Museum. In 1998, Renee Gross was interviewed by Janet Levine for the Ellis Island Oral History Project, which can be accessed here. Renee Gross passed away in New York City in 2005, on March 17, which was also Chaim Gross's birthday.